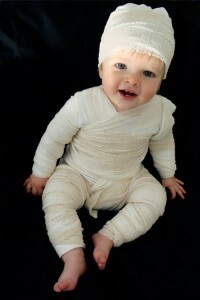 Mummy costumes are a classic choice for Halloween, and for good reason. They work equally well for boys and girls and are fun for all ages. They’re inexpensive to make and can be very easy to do. 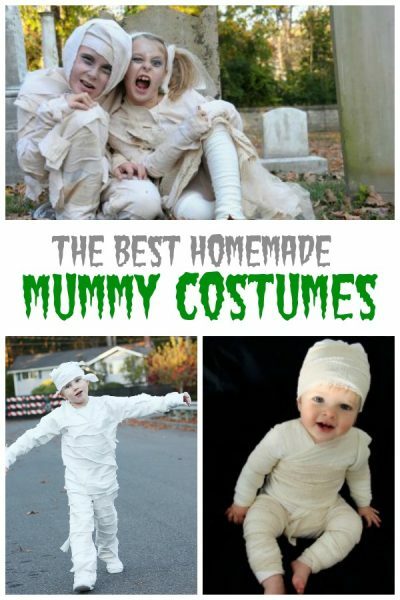 We’ve assembled some of the best homemade mummy costumes out there for you to see. Read on! This tutorial includes directions to make the shirts and pants for a traditional mummy as well as a mummy princess version! It’s easy to convert the steps for a no-sew option if you prefer. 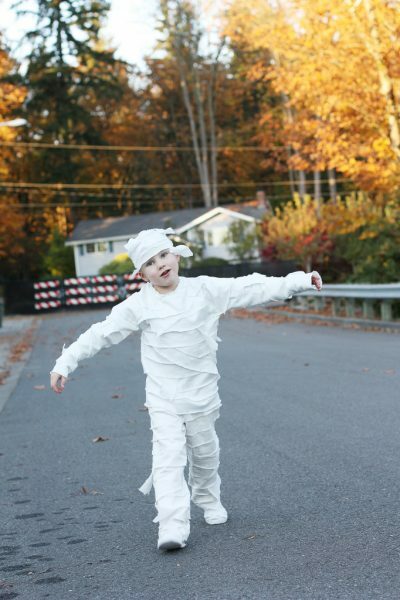 For the cost of a single sheet on clearance, you can make a classic mummy costume that looks great. This no-sew tutorial has several helpful tips to put together this couldn’t-be-easier costume. Learn how to make the perfect mummy costume for your little one, with some important differences for kids who are mobile! This costume is easy to do and inexpensive. 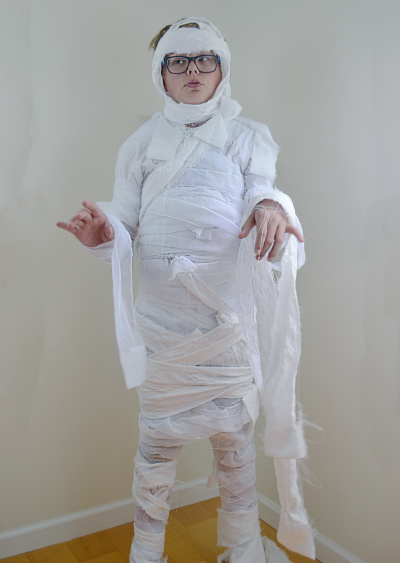 Sew up a durable mummy costume that will withstand hours of imaginative play on Halloween… and beyond! This inexpensive costume requires some sewing skills, but the effort is totally worth it. With all these great options, we hope you’ve found just the right mummy costume for your trick-or-treater. But don’t stop there. We have dozens of mummy crafts and recipes for kids (and Daddy and Mummy, too! ).